What you see above in today´s post is the dance-program for an assembly taking place on Sunday, 1 March. The venue is again the lovely restored Gustavian manor where I attended a ball last summer. My dear Mrs. E. decided to brush the dust off her dance slippers and have her gown pressed and join me! A rare treat! There will be musicians performing on period instruments and, I believe, skilled instructors. 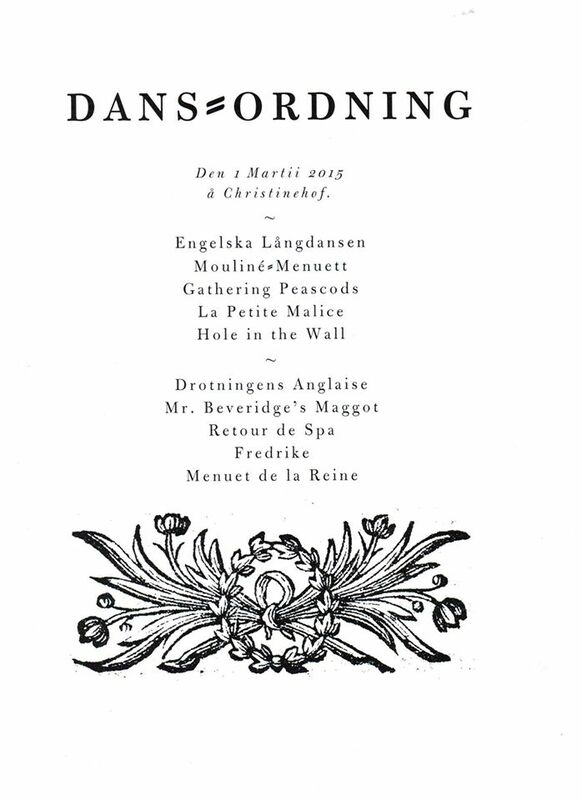 The dances are a veritable pot-pourri of English country dances and Swedish/French menuetts and quadrilles. Several are rather advanced, I´m afraid. Only four or five of these are familiar to me, so it will be a (delightful) challenge. Dress code: Period, ca 1800, give or take a decade or so. Few women could think more of their personal appearance than he did. “Vanity was the beginning and the end of Sir Walter Elliot’s character; vanity of person and of situation. He had been remarkably handsome in his youth; and, at fifty-four, was still a very fine man. Few women could think more of their personal appearance than he did, nor could the valet of any new made lord be more delighted with the place he held in society. He considered the blessing of beauty as inferior only to the blessing of a baronetcy; and the Sir Walter Elliot, who united these gifts, was the constant object of his warmest respect and devotion.” Jane Austen, Persuasion. Jane Austen sums up Sir Walter´s character in a wonderful way, doesn´t she? I sort of like the slim fit pantaloons in this image. Very daring. 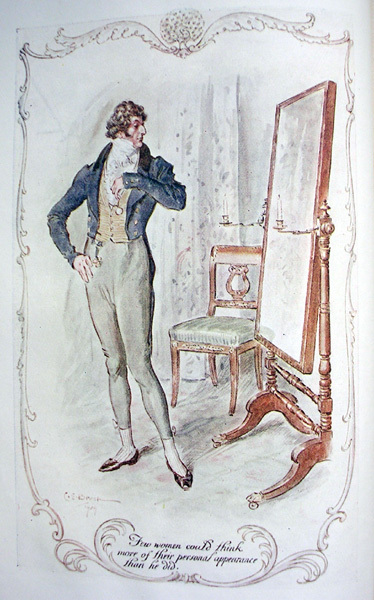 The great Beau Brummel is often pictured in similar pantaloons. On the other hand one day I just have to make a pair of loose fitting white cotton canvas 1810-trousers.